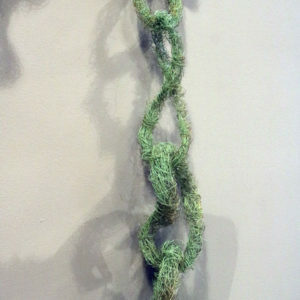 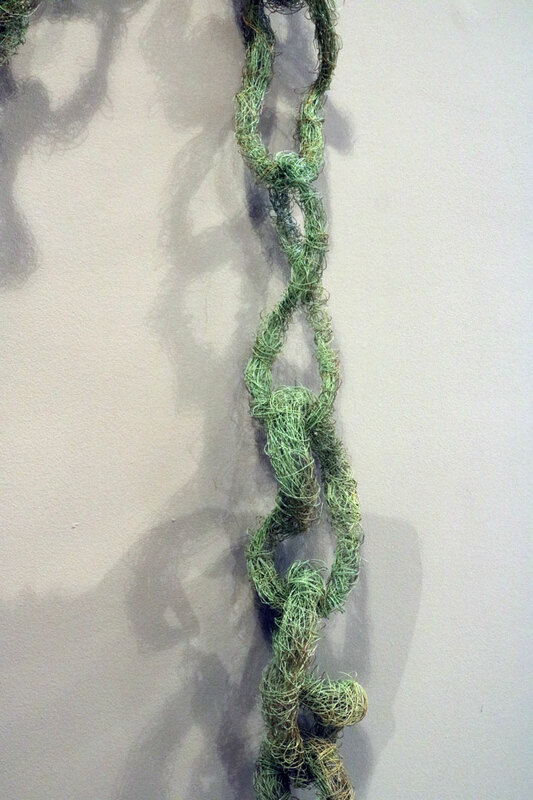 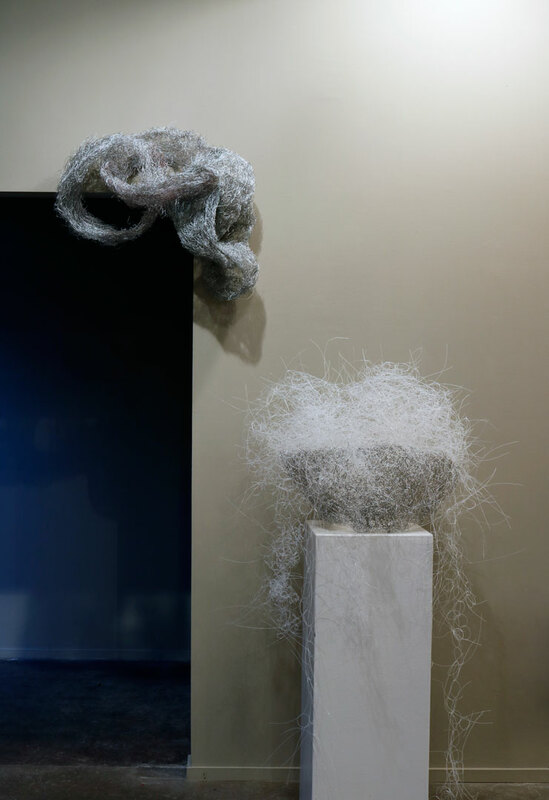 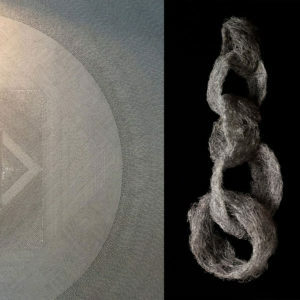 For this two person show at ArtFiftyTwo in Fairfield, Iowa, I created pieces with a technique I call “wire felting”. 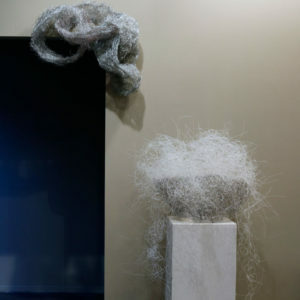 This is not a literal description since felting is a specific method of agitating and compressing animal fibers such as wool to create a fabric. 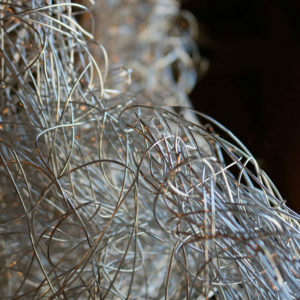 Starting with a smooth coil, I mangle the wire into a chaotic tangle. 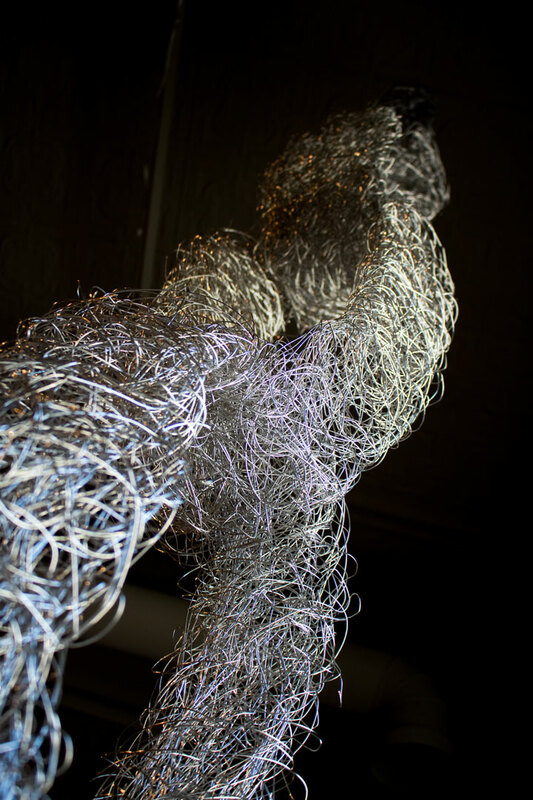 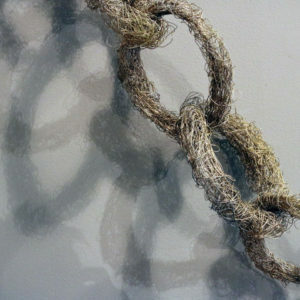 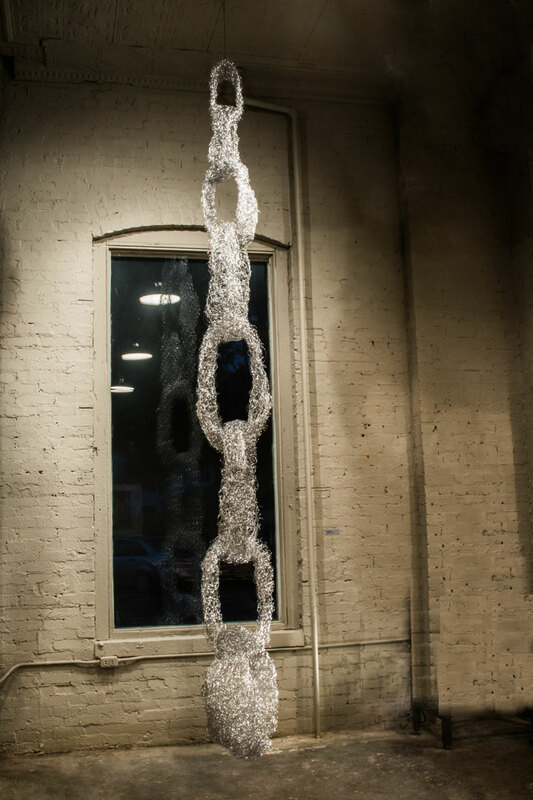 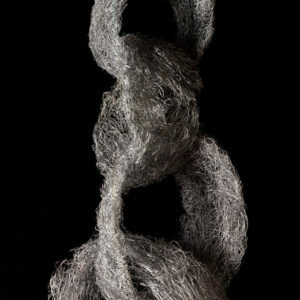 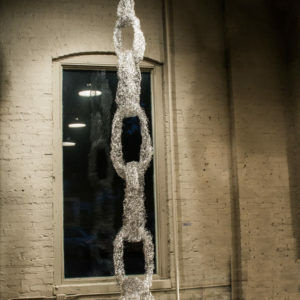 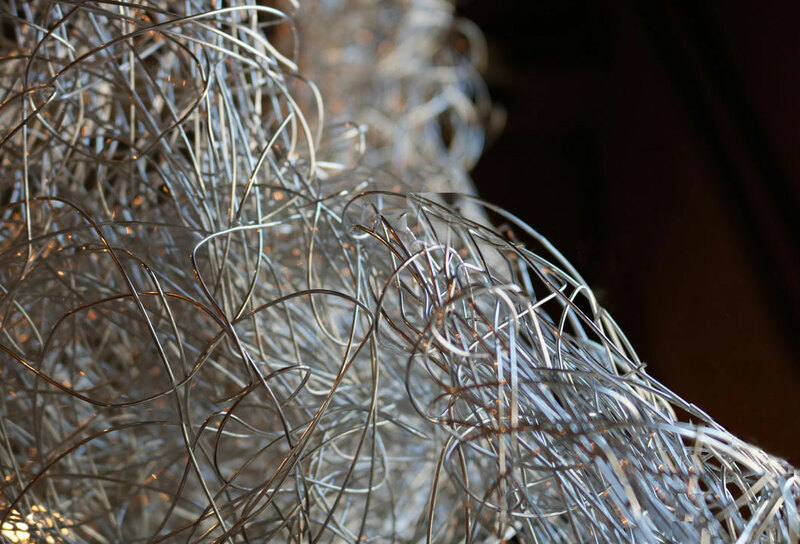 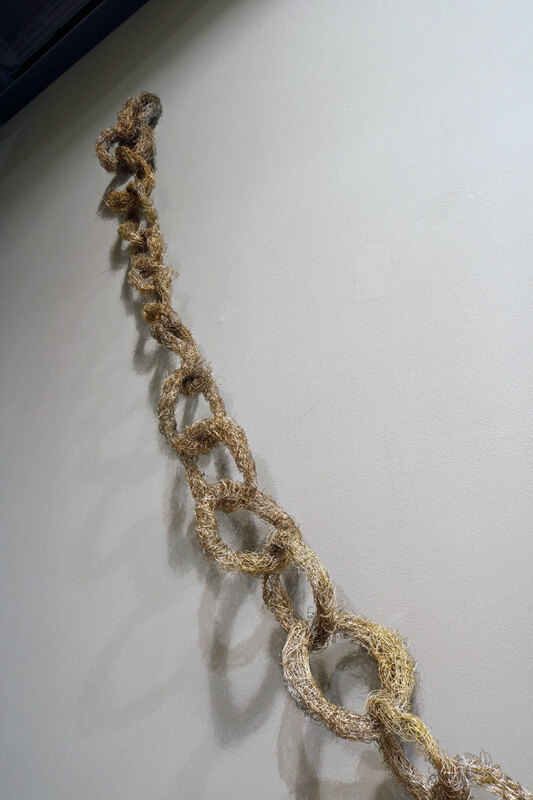 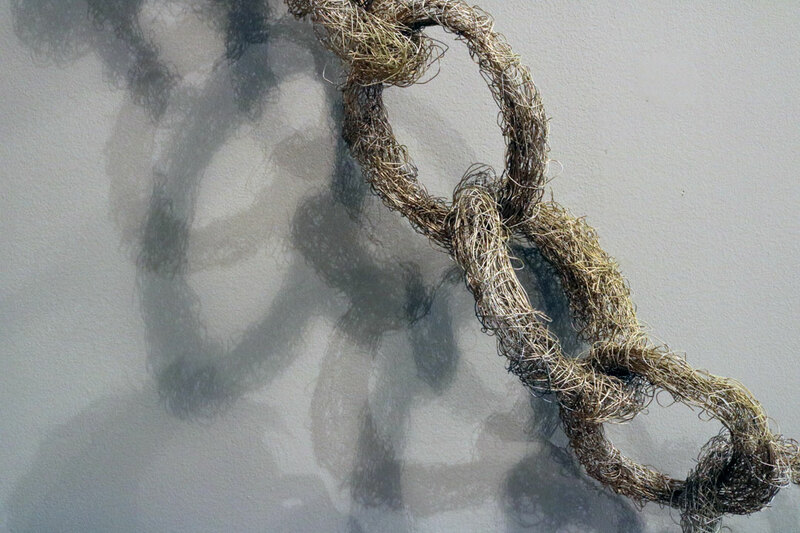 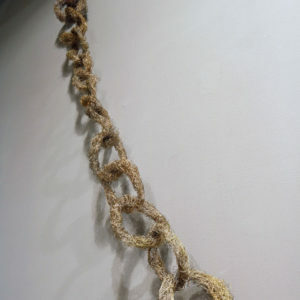 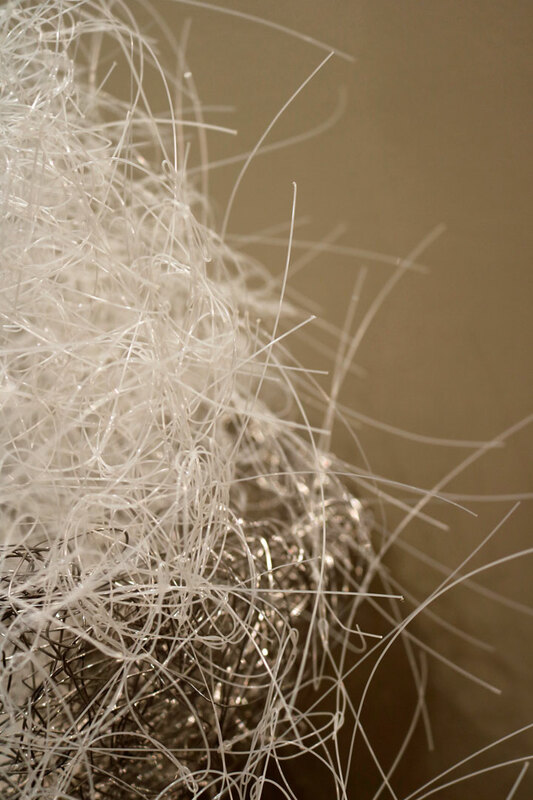 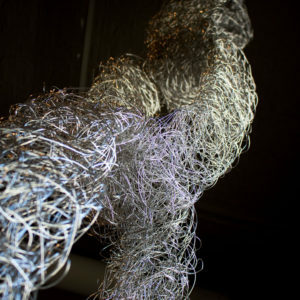 I then re-tame this tangled wire into specific forms, reestablishing order while retaining energy and movement. 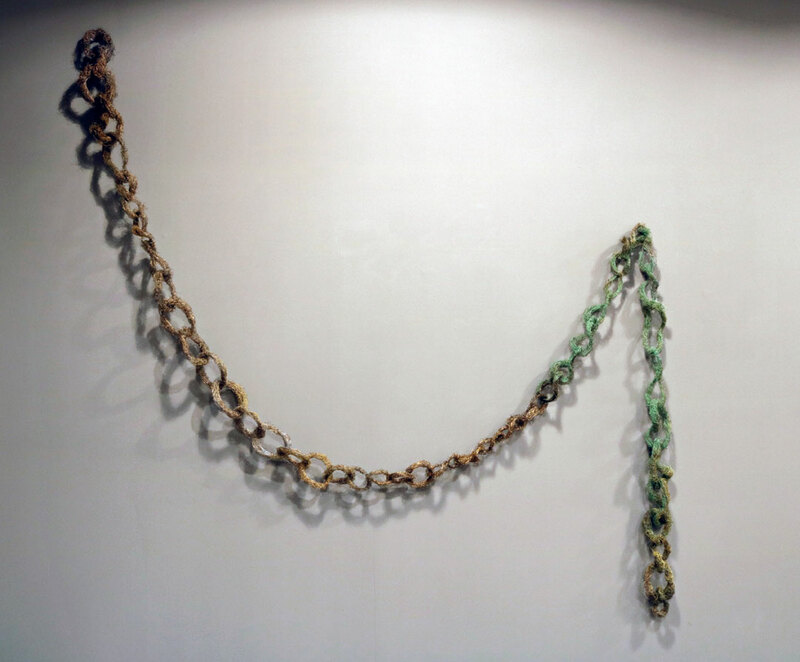 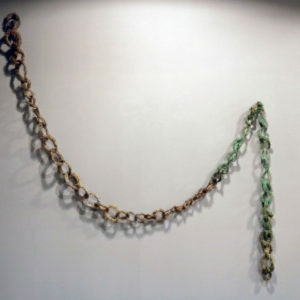 This work was exhibited with that of Chad Starling, whose work is based on a repeated phrase handwritten thousands of times–sometimes as small as 400 letters per square inch. 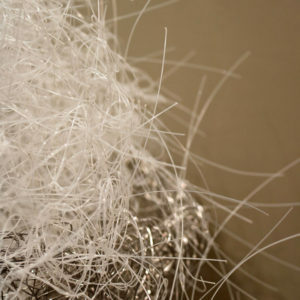 The last photo of this portfolio shows the juxtaposition of the two works.